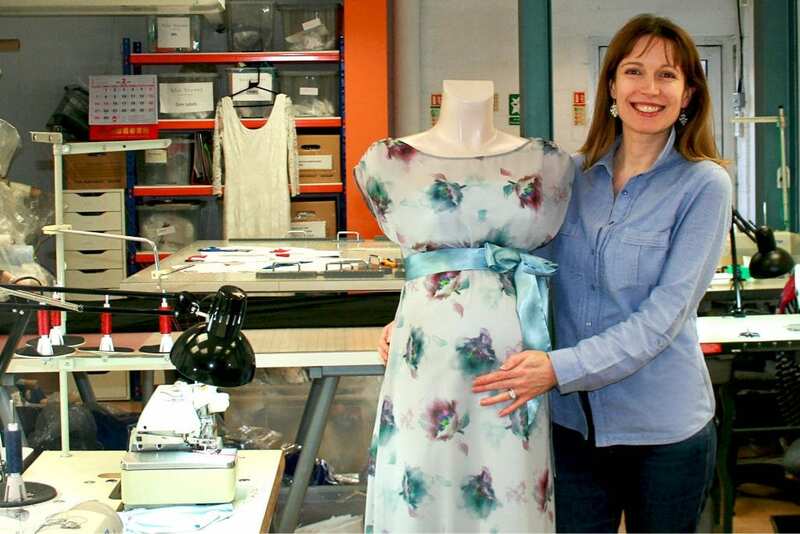 How did you come up with the idea for Tiffany Rose’s maternity wear? The idea came to me when my big sister was attending a wedding, she was pregnant and couldn’t find special occasion maternity wear. Being the great sister I am I wanted to surprise her with something brilliant but, having looked online, I realised she was right, there was nothing. That’s when the idea came to me. I thought it was crazy, there must be loads of pregnant women who need to dress up but everything was very mumsy, plain and jersey based. I got excited about starting something up and didn’t expect it to become the business that it has become. Did you have a background in sewing or anything to do with dresses or textiles? No, that’s the crazy thing, I was embarking on something I had no experience or background in at all. The background I do have is understanding business – my parents ran businesses and I grew up with that. A lot of my career was working in PR, marketing, event management and also supporting CEOs of large businesses, so I wasn’t fazed by anything, if something needed doing I would find a way to do it. In terms of the creative side, I had discovered a passion for fabrics when I was working for Nina Campbell Interior Designers in London. I really loved understanding the whole process of dressing houses and choosing fabrics and upholstering. I think that’s very very closely connected to what we do here today. But you do have a family history going back generations in UK manufacturing? I do. My grandfather and the three generations before him ran a textile business. 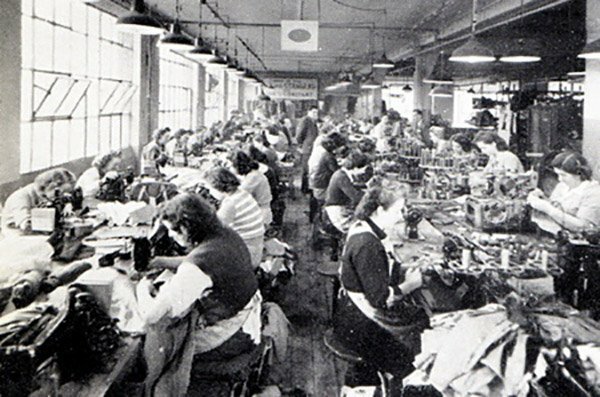 They took up pretty much the whole of Alie Street, in East London, with an incredible factory where they produced menswear, womenswear and childrenswear. That was started in around 1859, and carried on for almost a century. It’s incredible to know that I’ve got that in my history, and it’s very special to me. Tiffany Rose has been going for 13 years, can you talk us through you design development process and tell us how you keep your ideas fresh? In terms of inspiration, I am very much led by fabrics which, for me, is the starting point of any creation. I’m very lucky to have a good network of fabric suppliers based both in the UK, so British mills, as well as across Europe and I meet them on a regular basis. It’s very exciting and they’re thrilled to show me their new developments, sometimes developments that they work on specifically with me. When choosing fabrics and creating them into garments, I’m always thinking about my customer and what they want. It’s about what will flatter, what will give confidence and which fabrics will perform well. I have a lot of fun draping on the tailor dummy and from that process, I start to sketch up my ideas, and then take those ideas to my pattern cutter. Can you tell me how you use your team of seamstresses and pattern cutters to develop the collection? I have an amazing team. This is our design studio and sample unit where we have a very experienced and valuable seamstress and pattern cutter. I also work with an additional 3 seamstresses who have been with us a very long time and again have wonderful experience. We invest time and skills to make sure that every new design we create is the best that that we can do. When we’ve gone through all the sketches and we’ve decided on a design, we will then make up a toile, which is our first initial sample, it might just be a shell of a garment and we inspect it and fit it in-house. I love to involve the team because I value their opinions, sometimes we might even wear a dress for half the day, just to make sure that we feel comfortable in it and there are no issues. From that process, our pattern cutter will create a full spec and create a finished sample which we pass to a dedicated manufacturer who we think is suited to make that particular dress and work with those fabrics. Then the sampling process starts again with the manufacturer to make sure it’s made to correct standard before any production will start. 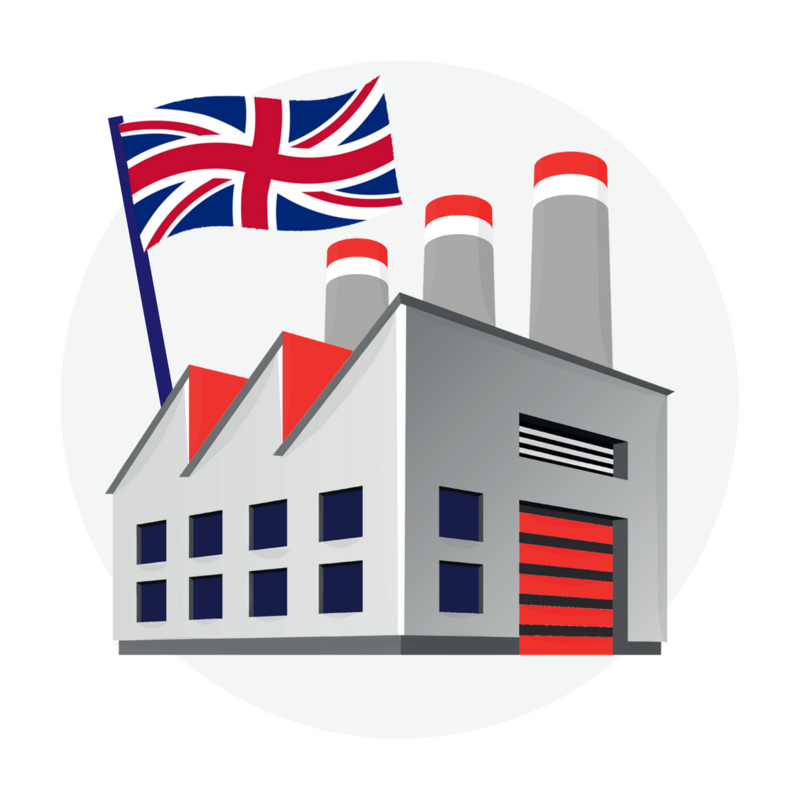 You manufacture all of your collections in the UK, how did you find your manufacturers? It was very difficult and it took a long time. I was very lucky in the very early days, I stumbled across one manufacturer in Leicester who were very small, but I found a connection with them. They were helpful, which was surprising given that at the time I just had an idea of a business, but they believed in me, and I’m thrilled to say that we still work with them. They’ve grown their business hugely and so there’s a great trust there. When we realised that they were at full capacity and we couldn’t push them any faster than they were happy to go in terms of their expansion we reached out for more manufacturers. It hasn’t been an easy process, there are some manufacturers that we worked with and we thought, it’s not working and we pulled it, but over time you learn which types of manufacturers are suited to your business and you find a way of working with them. 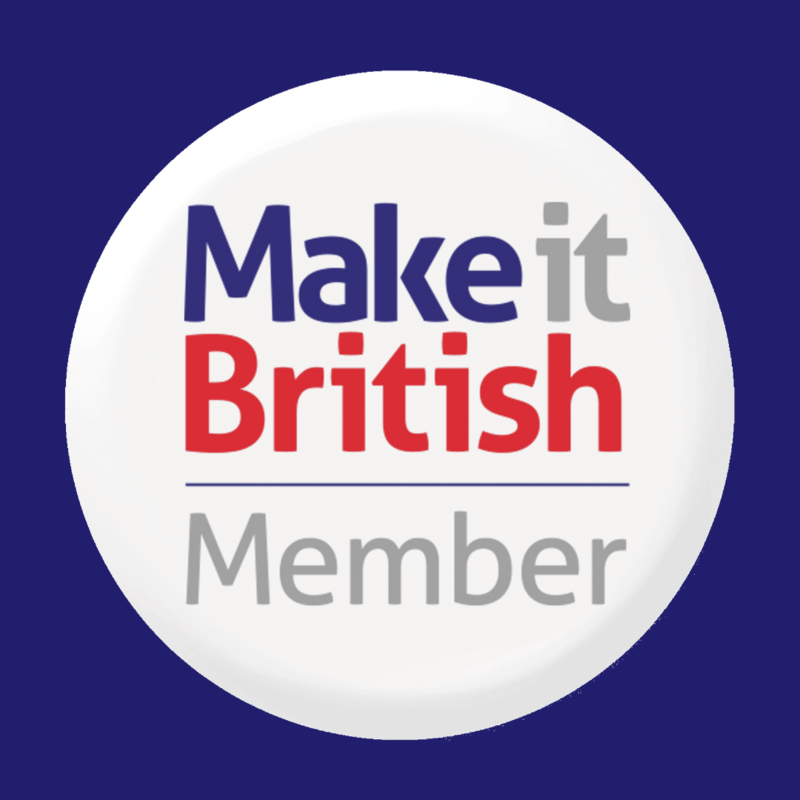 Now we have five manufacturers, in Leicester, Sheffield and Hertfordshire. They work for us almost exclusively at full capacity and we’re looking for more as well. When you started your brand 13 years ago you were the only one making occasion wear for maternity. There are a few other brands doing it now, how do you keep your brand unique? All we do is do our very best and we come up with new ideas all the time. I think it’s really important to follow your passion, so for example I love coming up with new designs, all of the time, and I think it’s great for the customer to be able to see new collections. Also making sure that everything is produced at a very high standard, so that your customer can trust your label and will come back to you. I know that Tiffany Rose is a family business and that your husband, Chris also works with you. What have been the advantages and disadvantages of working with your spouse? Chris officially join the business a few years ago but he’s actually been involved from the very beginning. Many years ago, before we were married and I first had this idea, one of the first things I needed to do was to put together a website, so I taught myself Photoshop and basic HTML and he taught himself PHP so we were a very fun couple as you can imagine! That’s how our business relationship started. He has been with me on this from the beginning and then it got to the stage where, you know, our revenues were growing and that we needed to put more and more into it. Chris was juggling running another business at the same time as supporting me and so that’s when we took that leap of faith and thought, right, let’s both jump in with both feet. And it’s brilliant, I love working with him – you’ll have to ask Chris whether he enjoys working with me! Working together as a family is very natural for me because I grew up with that, my mum and dad ran their own businesses together, it’s more natural for me to work with my husband than not. Do you think your children might come into the business? I think they need to branch out and do their own thing, but selfishly I’d quite enjoy it! My daughter who’s 12 years old, loves social media and she’s already having an opinion on how we’re posting or tweeting things so I’d enjoy her coming in and doing some work experience. I think that’s definitely a good thing. What advice would you give to other brands looking to set up a made in Britain label? One of the biggest pieces of advice I’d give is that first of all you need to find your support network through manufacturing. You need to spend a lot of time working out who you want to approach and meet them in person. However, before you actually meet them it’s really important to have a very clear idea as to what you are asking them to do, what you’re going to do as a business and how quickly you’re going to work on it, because you do not want to waste their time. These manufacturers, if they’re worth their salt, will be very busy and they’ve got to make money. If they’re going to entertain the idea of working with you it means that they’re putting off other business in order to get up and running with you. Treat them with respect, don’t waste their time, because that way they’ll treat you with respect as well. As you said at the beginning, it’s important to go and visit people, you can’t beat actually meeting someone face-to-face. Absolutely! 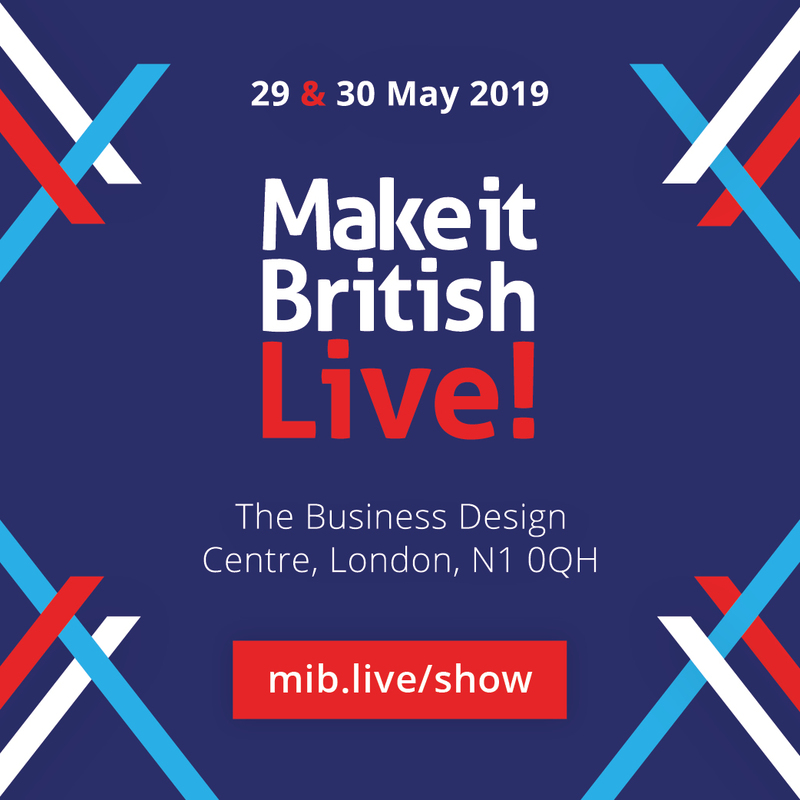 You need to know whether there’s a connection between you, because the way we treat our manufacturers is much more of a partnership, they are an extension of our family business, they’re not a supplier. The way we work with the manufacturers is probably quite different to a lot of other businesses. We know that they need to be busy all year round, but retail businesses aren’t always busy – there are peaks. The way we work is to give them the same volume of work during quieter times of the year as we give them during our peaks. We understand that they need to be able to keep their staff on, so that when we are at our peak times they are fully resourced for us. So you’ll give them your core lines that you know are going to sell, to make throughout the year? Absolutely, and if it means we stock up a bit more than we would like, we do that, because we know we’re going to sell it again. It’s a give and take, to make sure that they are confident that they’ve got the business coming in. Looking back over the last 13 years, what would you have done differently? I’m always a very positive person so I never really have any regrets, but I think if I’d have known where the business was going to go and the opportunity that was in front of me earlier on, then I probably would have invested more in building a team sooner than I did. In the early days, especially when I had very young children, it was a real struggle, there were a lot of late nights and a lot of exhaustion, and I really needed to feel for myself there was proof of concept before we invested more money. The business has grown organically and we’re proud that we’ve not taken outside investment, even though we have been offered it on several occasions. We’ve just invested money that we’ve earnt from the business, putting it back in so that we can grow the team, grow our range and become more established, that’s the kind of a philosophy I go by. You’re known for the maternity brand, Tiffany Rose, but you’ve recently launched a non-maternity brand too. What was the inspiration for this and why did you leave it so long to launch that brand? Our new non-maternity brand is called Alie Street, as an homage to my grandfather’s business. It was something that I was passionate about for many years, but I also had my business head on telling me to stay focused on Tiffany Rose. Then we reached a point where things were going really well and we were receiving so many enquiries from our existing customers who’d had their children, and new enquiries from people who were stumbling across Tiffany Rose online, not realising at first it was maternity wear and then writing to us saying “I’m not pregnant, but can I still wear it?” So we’d reached the right stage of the business where we had a great infrastructure, a great team, and our sales were growing every year. It was a very natural progression to start the Alie Street brand. Tiffany Rose has been worn by a lot of well-known celebrity ladies when they’ve been expecting. Are you allowed to say who’s been your favourite person to dress? I’m thrilled to dress anybody that wants to wear Tiffany Rose or Alie Street, but I think the one thing that felt very special was when we dressed all three princesses of Sweden. Not only that, Princess Madeleine wore our Eden gown for a fabulous red carpet event, then we discovered that she lent that very dress to her sister, Princess Victoria, when she was pregnant. The fact that it was getting passed around the family was a very special thing for us.